Minisheet, MNH, Dominica 1982, perfect condition. Original Gum. Very fine. Original owner who has maintained freshness in clear mounts since 1981, the best possible condition. 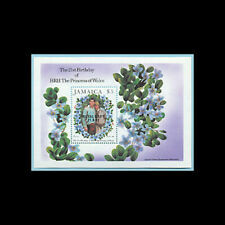 Jamaica, Sc #545, MNH, 1982, S/S, Royalty, Royal Baby. Grenada, Scott cat. 2723a. Diana, The People`s Princess value. First Day Cover. 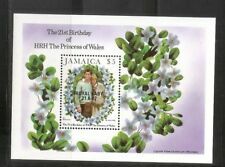 MNH PAIRS ROYAL WEDDING, PRINCE ANDREW. We appreciate your input. Delays can occur. We have tried to call this out when we list a strip that has been folded. Direct communication is always the best way to fix an issue. AND ALL POLICIES. GRENADA GRENADINES (1982). 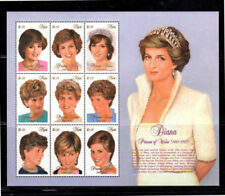 (10) MINT NEVER HINGED 'PRINCESS DIANA' & 'EASTER' ISSUES. Direct communication is always the best way to fix an issue. AND ALL POLICIES. If there is a fault we will describe it. Yes we can. Yes we do. We will combine over a 2 week period. COMBINING ORDERS. We appreciate your cooperation with this. COMBINING ORDERS. NEW POLICY EFFECTIVE FEB 6, 2019. Direct communication is always the best way to fix an issue. AND ALL POLICIES. If there is a fault we will describe it. Grenada Grenadines, Sc #213-15, MNH, 1977, S/S, 3 sheets, Royalty, Coronation. GRENADA GRENADINES, # 1998 a-f, Miniature Sheet of Six (6), Mint, Never Hinged. Includes set with m/sheet, s/adhesive panes and colour/value changed sheetlets x3. SG 1130/1138a Cat £8. Perf & Imperf Souvenir Sheets (Four total). 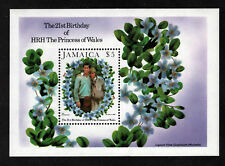 Dominica, Sc #372-73a, MNH, 1973, S/S, Royalty, Royal Wedding. back to search results?. upper left side of page. Direct communication is always the best way to fix an issue. AND ALL POLICIES. If there is a fault we will describe it. On occasion, we may misidentify an item. We have tried to call this out when we list a strip that has been folded. 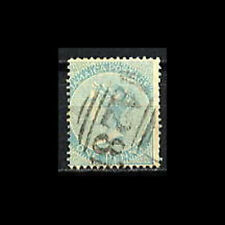 Fine-Very Fine Condition & Centering. Issued 1921-1929. St Vincent Stamp 483-94MNH clean. Barbuda, Sc #493-95, MNH, 1981, S/S, Royal Wedding, Architecture. Ideal for Framing, if you wish. NICE CLEAN GROUP. WHAT DO YOU HAVE?. DOMINICA 1977 QEII Silver Jubilee Set Stamps + Souvenir Sheet MNH . Topic - "8p - FLAMINGOS IN FLIGHT & KING GEORGE VI". SCOTT #108. A Very Sound Stamp. Very Fine Condition & Centering. Issued 1938-1946. Grenada, Scott# 20a, and 22a - 24a, mint group of four tete-beche pairs, bright and fresh, original gum, Lightly Hinged, Fine-VF. 2018 Scott catalog value $86.50 US. We have thousands of German & Austrian NOTGELD as well as souvenir sheets and stamp sets available. MOUNDBUILDERS STAMP & COIN. Sketched on perforated blank sheet of 165 (15x11) and extending onto large sheet selvage top & bottom. Too big for scanner, we illustrate two portions. 1937 British Coronation. Solomon Islands. #64 - 66 Used Complete. Perfect for Framing. 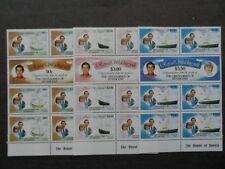 BLOCK OF 4 MINT STAMPS,"DUKE/DUCHESS OF CAMBRIDGE" ! 1982 Royal Wedding Prince Andrew?